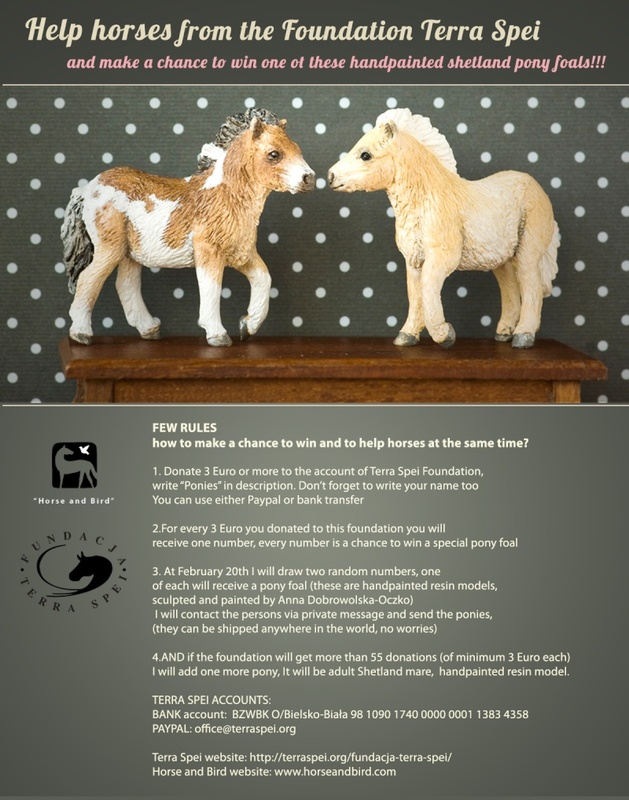 Help the horses from the Terra Spei Foundation, win resins! My friend Anna Dobrowlska-Oczko is running a raffle benefitting the foundation Terra Spei, a shelter that rescues horses sent to the slaughterhouses. For every 3 euros you donate, you get one chance to win a resin foal, sculpted and painted by Anna. Re: Help the horses from the Terra Spei Foundation, win resins! Oh goodness!! How cute is that!